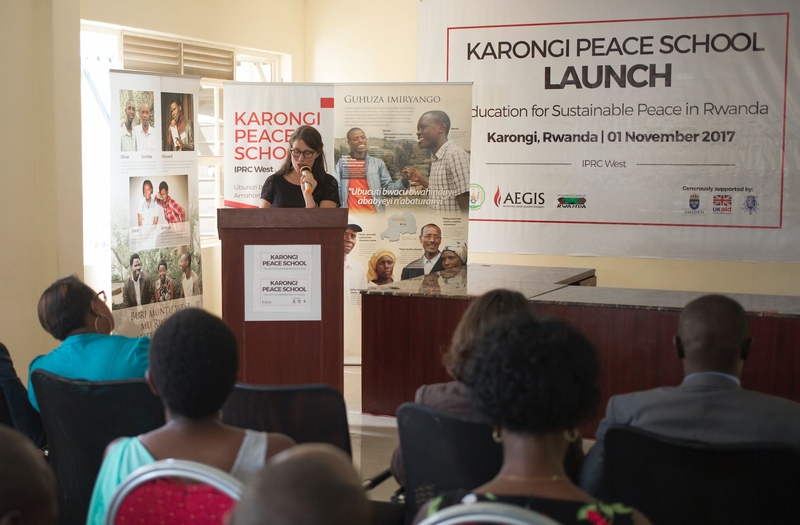 I am truly honoured to be here today at the launch of Karongi Peace School. We started this journey with our partner Aegis Trust in 2013, when Sweden agreed to fully fund the Rwanda Peace Education Programme. It has been identified that there was a lack of understanding amongst students and teachers like about the events leading up to the Genocide against the Tutsi. We saw that survivors and children of ex-prisoners sat side by side in the classrooms without trust yet they were uninformed. 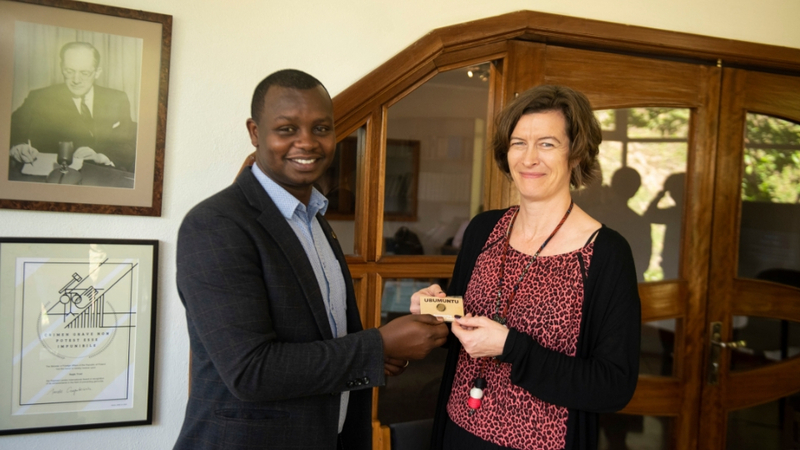 There have been international donor investments in Rwandan programmes to reduce the structural risks of Genocide such as work to boost trade, democracy, an accountable government and to support Rwanda’s economic development and poverty reduction strategy. 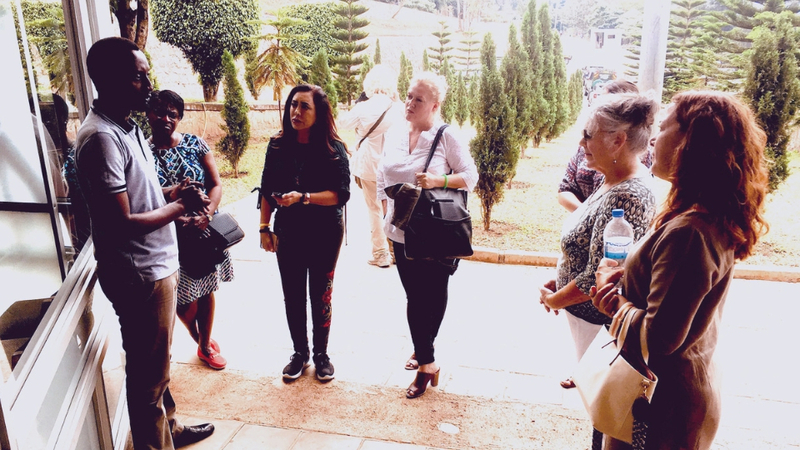 However very little work in Rwanda had focused directly on reducing the behavioral risks of Genocide such as healing the divisionism, trauma and prejudices that were contributing factor to, and consequence of the 1994 Genocide. 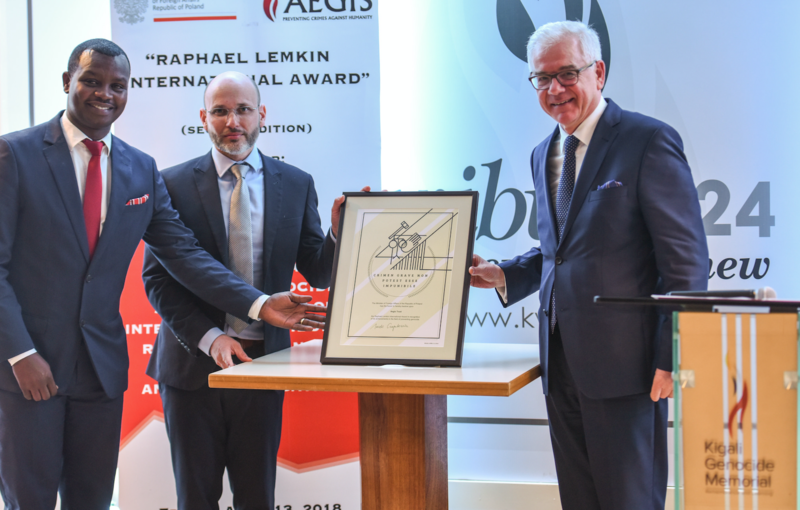 We are therefore very pleased that Aegis Trust and their partners through this programme managed to take Peace Education to a new level adding significant value to promote social cohesion, positive values including pluralism, personal responsibility, empathy, critical thinking and action. All these are crucial in order to build a more peaceful society. As a result of the hard work of Aegis Trust in collaboration with the Ministry of Education, the Rwanda National Schools Curriculum now incorporates Peace and Values education, as we heard today, which is a major achievement. 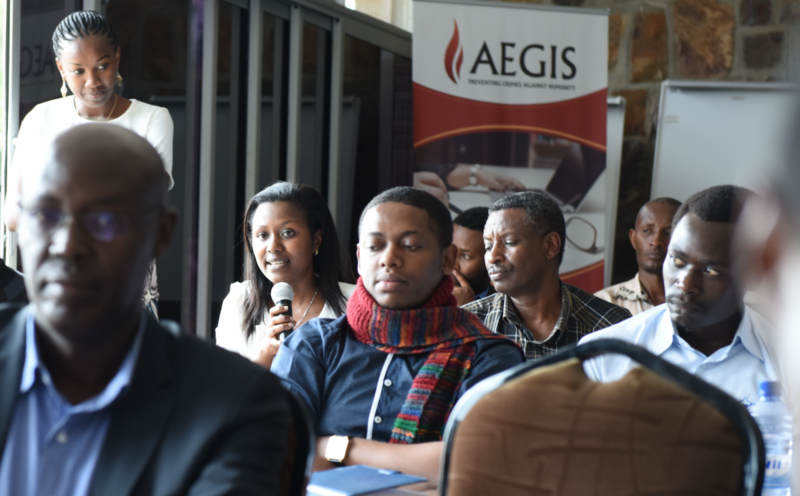 The content and methodologies of Aegis Trust will now be taught in every class in Rwanda which will strengthen resilience in four key change agents: Educators, young people, decision makers and researchers. 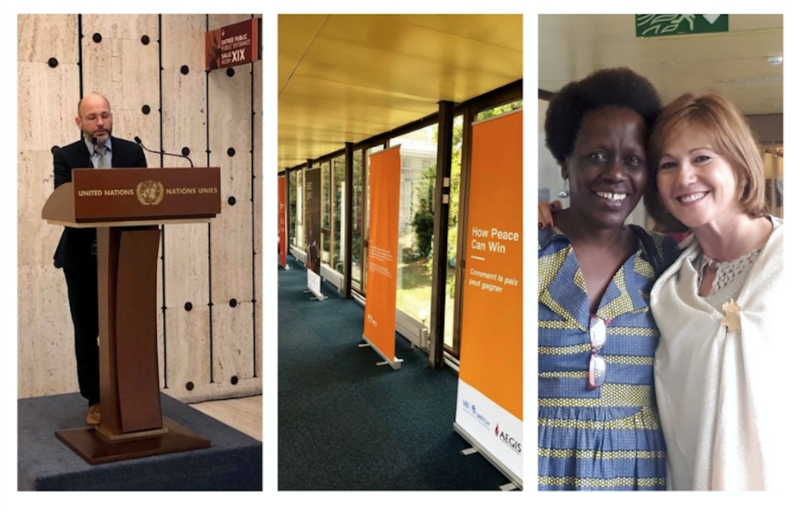 Sweden continues to view Peace Education as an important process for promoting the knowledge, skills, attitudes and values needed to bring about behavioral changes that will enable children, youth and adults to prevent conflicts and violence. It is also a tool to resolve conflicts peacefully and to create the conditions conducive to peace whether at intra-personal, inter-personal, intergroup, national or international level. As a spokesperson for Sweden feminist forum policy, I would like also to emphasize the importance of the empowerment of women and girls as a true example of smart politics in this type of work. I think that we can firmly state that the promotion of gender equality is not only a matter of women’s rights but more importantly a matter of ensuring peace and security for all. The establishment of the Karongi Peace School is part of the Education for Sustainable Peace in Rwanda Programme which Sweden is proudly funding. We are glad to see that this programme has been gender mainstreamed and our aim is that both Rwandan girls and boys will feel empowered to make positive choices and take positive actions in order to build a more peaceful society. It is our hope that Karongi Peace School will be a valuable resource center for training, events for teachers, young girls and boys, for parents and for community members. We are also hoping surrounding districts will be able to use these facilities. Finally, I want to say good luck for Aegis Trust and Karongi Peace School. I am certain that this initiative will make a meaningful contribution to promoting peace in Rwanda for generations to come.